With a wide variety of indoor units available, it is easy to select a model that matches your home décor and blends in unobtrusively. A Daikin Super Multi NX air conditioning system gives you the ability to control indoor units individually. This means the ideal temperature can be maintained while ensuring running cost are kept low as only rooms requiring air conditioning are switched on. Reduces the outdoor noise levels during sleeping hours and automatically resumes normal operations in the morning. Wall mounted indoor units feature Daikin’s Intelligent Eye human sensor that ensures draught free comfort and energy saving operations when the room is unoccupied. Up to 5 indoor units can be connected to the outdoor unit for total home air conditioning. Running costs are kept low as only rooms requiring air conditioning can be switch on independently. Allows you to shift capacity from the other rooms to your priority room when required for rapid cooling or heating of that space. Each indoor unit can be individually controlled, scheduled and set to the desired room temperature ensuring optimal comfort for all occupants. Daikin’s swing compressors are quieter and more efficient than conventional compressors, thanks to their high pressure dome construction and usage of high pressure lubrication oil. All Super Multi NX compressors are equipped with Reluctance DC Motors. These motors utilise the magnetic torque or neodymium magnets in conjunction with reluctance torque, resulting in more energy efficient operation. 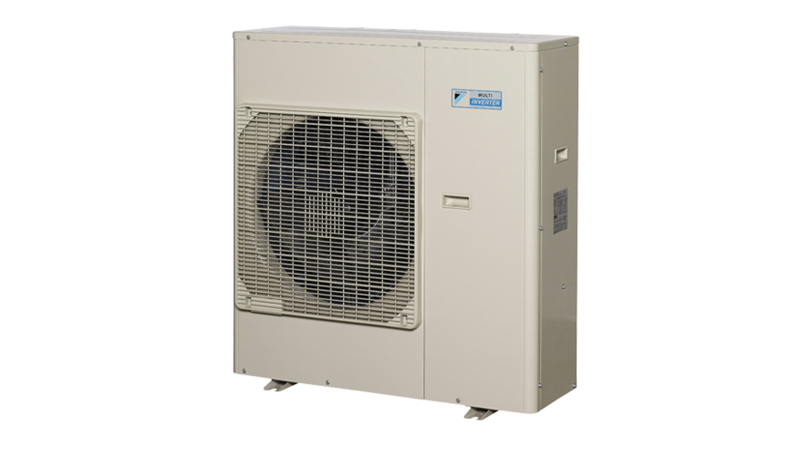 Daikin Split System Air Conditioners are ideal for air conditioning one room or a specific area of a home. Discreet wall mounted and compact floor standing units are all part of the Daikin range.